Asphalt Repair in Lakeland – Parking lot maintenance is the solution for eliminating further deterioration of a parking lot, roadway, or any existing pavement surface. Preventative maintenance is the most cost-effective way to maximize pavement life while minimizing long term financial obligations. As soon as pavement first shows signs of wear, such as discoloration, raveling, or minor cracking, it is in need of preventative maintenance. Preventative maintenance for asphalt includes sealcoating, crack sealing, asphalt patching, and asphalt repair. Effective preventative maintenance is an ongoing process that requires regular monitoring to ensure that rehabilitation strategies are producing the highest level of results. Asphalt repair can be accomplished even if action has not been taken at the first sign of a problem. Don’t let it become so bad that the area must be completely replaced, however. In many cases, even major cracking can be resolved with asphalt repair methods. Give us a call at AAA Top Quality Asphalt so we can inspect the situation and let you know whether asphalt repair is still an option. Whether you have a small parking lot, driveway or larger area with some issues, we can get the job done as affordably and quickly as possible, thereby saving you from a much larger expense down the road. At AAA Top Quality Asphalt, we often find that asphalt repair is left unattended for too long, even though the signs of repair have been present for some time. Whether it’s that pothole that every customer must go around or a worn place in the walkway that presents a tripping hazard, ignoring these types of concerns can easily lead to more problems. Asphalt repair becomes an important part of maintaining the function and aesthetic appeal of any property, whether it is a home, government building, industrial site, or commercial business in Lakeland, Florida. Taking care of asphalt repair sooner rather than later is not only more cost-effective, but it can also be a proactive way to prevent further damage to equipment or persons utilizing the property. Even though we recommend that you take action quickly, we must also note that asphalt repair can be accomplished even if action has not been taken at the first sign of a problem. Our recommendation is that you shouldn’t allow it to become so bad that the area must be completely replaced, however. In many cases, even major cracking can be resolved with asphalt repair methods. Give us a call at AAA Top Quality Asphalt, so we can inspect the situation and let you know whether asphalt repair is still an option. Whether you have a small parking lot, driveway or larger area with some issues, we can get the job done as affordably and quickly as possible, thereby saving you from a much larger expense down the road. 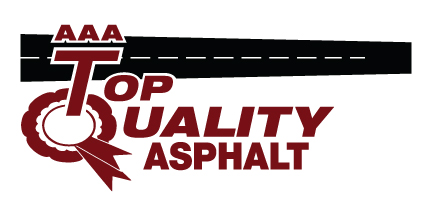 Feel free to contact us at AAA Top Quality Asphalt today to have an experienced estimator create a customized maintenance program for your pavement. We have proudly served the Lakeland, FL area for over a decade. We gladly work with contractors, home builders, municipalities and industrial clients.